This week I'm participating in a joint blog tour with two other authors of new memoirs set in Asia. You can enter our giveaway here. We each read each other's books, and I'm pleased to share my thoughts on the second one today: Here Comes the Sun by Leza Lowitz. 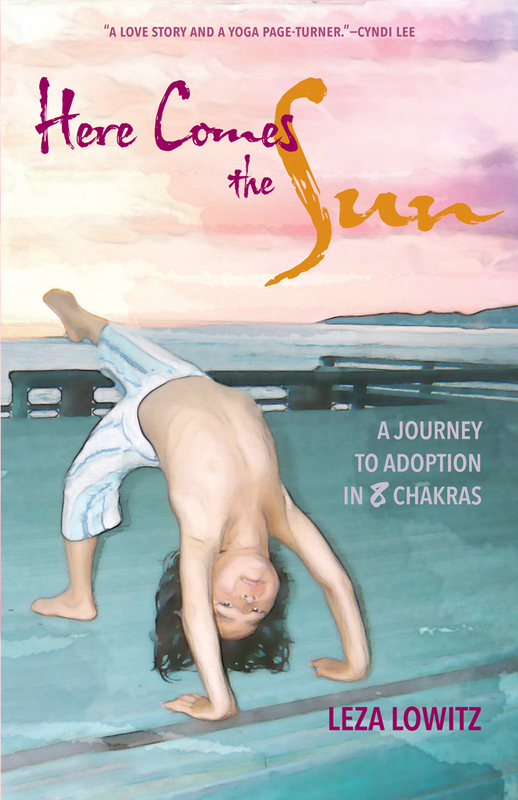 An American woman finds love in Japan and embarks on a journey toward motherhood through adoption and yoga. If you're a fan of How Does One Dress to Buy Dragonfruit, the expat women in Asia anthology I edited for Signal 8 Press last year, you might recognize this title. Leza Lowitz contributed a moving excerpt of her then-unpublished memoir to the anthology, also called Here Comes the Sun. Now we get the full story! 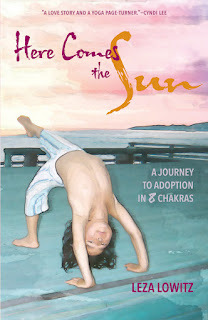 Leza's memoir follows her journey to motherhood through adoption, and to peace and self-understanding through yoga. Set primarily in Japan but also featuring Leza's roots in Berkeley, California, the memoir is a beautifully written reflection on life, motherhood, and finding a home. Leza's background in poetry is evident in the language of this memoir. There's a moving simplicity to her words that draws you in as you follow her move to Japan, her romance with a handsome Japanese writer, and her search for the child she knows is calling out to her. In addition to the story of her family finding each other, Leza's memoir features her heartfelt attention to yogic practice and philosophy. Leza writes about her decision to open a yoga studio in Japan and organizes her story around the eight chakras. Her spiritual journey is particularly interesting because she brings together her practice of yoga and the traditions of her Jewish upbringing. It's a story for modern, multicultural times if there ever was one. You can check out Leza's website here. Or grab a copy of Here Comes the Sun! The Kindle edition is $9.99. I received a free copy of the ebook for review. Disclosure: Leza also wrote a very nice blurb for my memoir, Year of Fire Dragons. If you'd like to win a copy of Here Comes the Sun, along with The Good Shufu and Year of Fire Dragons, you can enter our giveaway here!